Botox has been among some of the most popular cosmetic procedures since it came on the market in the late 80’s. Now with new technology, Botox has become even more precise and it’s considered to be safe when it’s administered by an experienced professional. If you’ve ever thought about having botox done in Mississauga, we offer this procedure at Royal Touch Medi Spa. Here are a few things to know before having your first botox consultation with us. 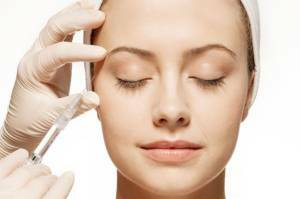 Botox is short for Botulinum toxin, the primary ingredient that works to smooth wrinkles, lines, crows feet and furrows. When you receive a botox treatment by a professional in Mississauga, it is administered with an injection that is used to keep the surrounding muscles from contracting, in order to smoothen out the skin in the desired areas. Typically, a consultation will include a full health evaluation. It will also take into consideration cosmetic procedures you may have had in the past. Experienced professionals will also look at the areas that you want to smoothen to ensure that the procedure will be both effective from both a health and cosmetic standpoint. This is very important to determine whether a Botox treatment in Mississauga is the right fit for you. It’s easy to associate Botox with the rise and hype of plastic surgery and the preservation of youth. While it does mitigate signs of aging, Botox has many more medical uses that can improve a person’s self-esteem and quality of life. Side effects of Botox while less likely, still do exist. Many people are aware of the effects of too much Botox or a procedure that has gone wrong – however, with an experienced professional by your side, it’s entirely possible to ensure that you have a pleasant botox treatment in Mississauga with few side effects. More severe symptoms that are quite rare also include vision problems, muscular problems related to the injection site, trouble speaking and loss of breath. If you or someone in your life is suffering from health symptoms that can be rectified with Botox, a Botox treatment in Mississauga could be a step in the right direction. It has the potential to positively impact a person’s quality of life, whether you’re treating a more serious health concern or simply want to have it done for cosmetic reasons. Get in contact with us today to book a consultation!